You can use the Raspberry Pi to put a border around different parts of your web page, which is a good way to mark out where the parts begin and end, and to draw attention to the most important elements. You can use eight different styles of border. border-width: This specifies the size of the border in pixels. For a thin line, use 1px. For something chunkier, use 4px. Higher values are possible, but rarely look good. border-style: This defines what the border will look like. Most of the time, you will want to use solid, and that’s assumed by default. 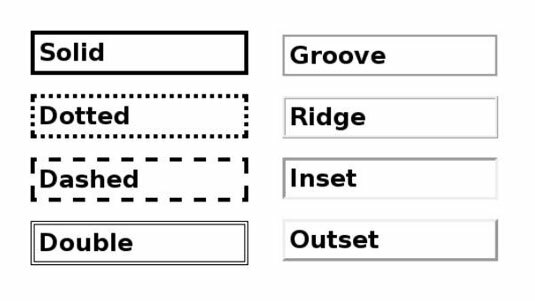 The other options are dotted, dashed, double, groove, ridge, inset, and outset. border-color: You can specify a color name or color number for border.